From the time you get up in the morning until the time you go to bed at night, you are continually negotiating, communicating, persuading, influencing and trying to get people to cooperate with you to do the things that you want them to do. We will never share your information with a third party. As a bonus you’ll receive the newest issue of our newsletter. You may unsubscribe at any time. 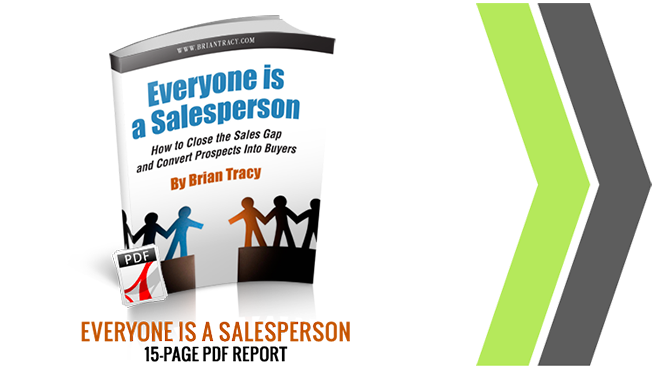 Everyone is a salesperson. Everyone works on commission. When you learn how to influence, persuade and sell yourself, and your products and services to others, you reap the benefits personally, professionally and financially. Enjoy my report, Everyone is a Salesperson, and start putting these strategies to work in your life today.